Thanks for taking a look over our refer a friend account opening bonus. 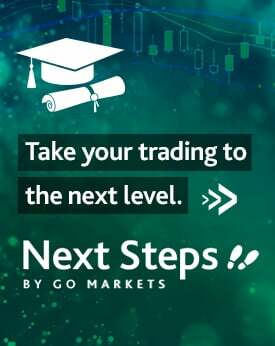 We trust you’ve had a great experience in trading with GO Markets and we’d like to reward you for opening up the opportunity for others to experience our MT4/MT5 platform, customer service and access to a wide range of markets. Accessing the $100 bonus to refer a friend is straight forward with the details listed below. There is no limit to the number of people you can refer under our refer a friend offer and you will receive $100 for each qualified referral. If you would like to refer a friend, please read through the ‘How it works’ section below and get in touch with our team at support@gomarkets.com.au or phone direct on +61 3 8566 7680 or 1800 88 55 71. Earning the $100 account top up through our refer a friend offer is quite simple. Here are the steps to ensuring you get the credit to your trading account. To qualify for the ‘Refer a Friend’ offer, traders must be an existing GO Markets’ live account holder. The referred friend must be a new customer to GO Markets. Existing account holders will not be considered as “referred” friend and referrers will not qualify includes any existing joint account holders of GO Markets. Traders may not refer one of their family members or co­habitants of their residence. This offer commences on March 19, 2012. Any previous referrals to GO Markets will not qualify for this offer. The $100 cash bonus is denominated in Australian Dollars (AUD). If a referrer has a GO Markets’ live trading account denominated in a different currency, then the prize will be converted to that currency at the conversion rate delivered by National Australia Bank to GO Markets at the time of deposit. The value of the AUD prize will not change. The cash bonus will be deposited into the existing clients (referrer’s) account once the new client has traded the minimum of 5 standard FX lots on any currency pairs. Please note that Introducing Brokers (“IB”) are not eligible to receive benefits from this offer. If an individual is referred by an IB and by a friend at the same time, then the client will not be listed under the IB.